The main ingredients of the classic margarita cocktail are lime juice, Tequila and orange liqueur. This detour of the classic margarita is a delight! 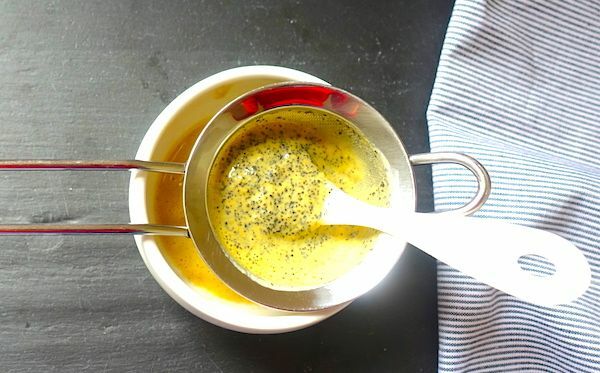 The passion fruit gives freshness, aroma and natural sugar. A glass of this colourful cocktail increases the good mood, as only Tequila does! The origin of this cocktail dates back to 1936 in Mexico and U.S. There are several tales about who invented the cocktail, when and where however, it is undeniable that this classic cocktail has gained popularity with time. Margarita can be made frozen, on the rocks, or straight up and is always served chilled. Tequila, the main ingredient of margarita, is a Mexican distilled alcoholic beverage made from blue agave plant. In Mexico it is consumed neat, and in the rest of the world as a shot with lime and salt. 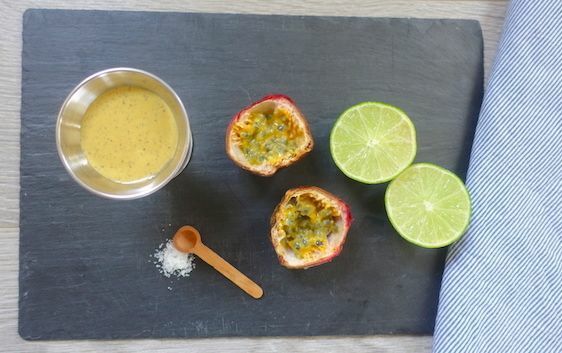 Passion fruit; native to South American countries is one of my favourite fruits. In Peru it is used in sweet and savoury dishes as well as cocktails and natural fruit juices. 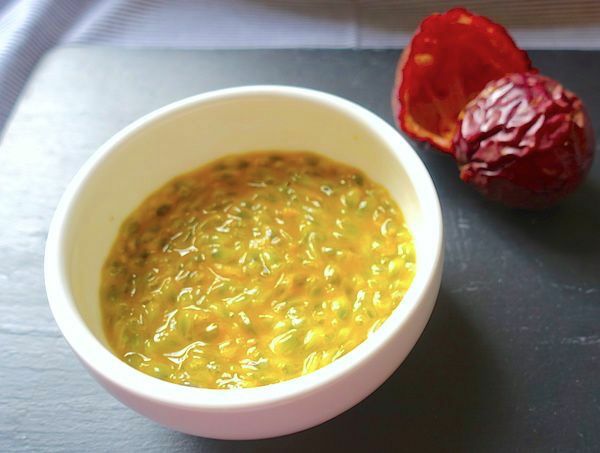 The aromatic passion fruit is high in vitamin C and fibre. When you buy fresh passion fruit, the outer skin might be firm and a little bit green. This means that the fruit has not ripened yet and therefore, the pulp will be too acidic. It’s better to allow it to ripen at room temperature. The skin will wrinkle and the colour will be uniform. At this point, you may cut it in half and use a spoon to remove the pulp. The taste will be sweet, aromatic with a hint of acidity. It can take up to a week to ripen, but it’s worth the wait. 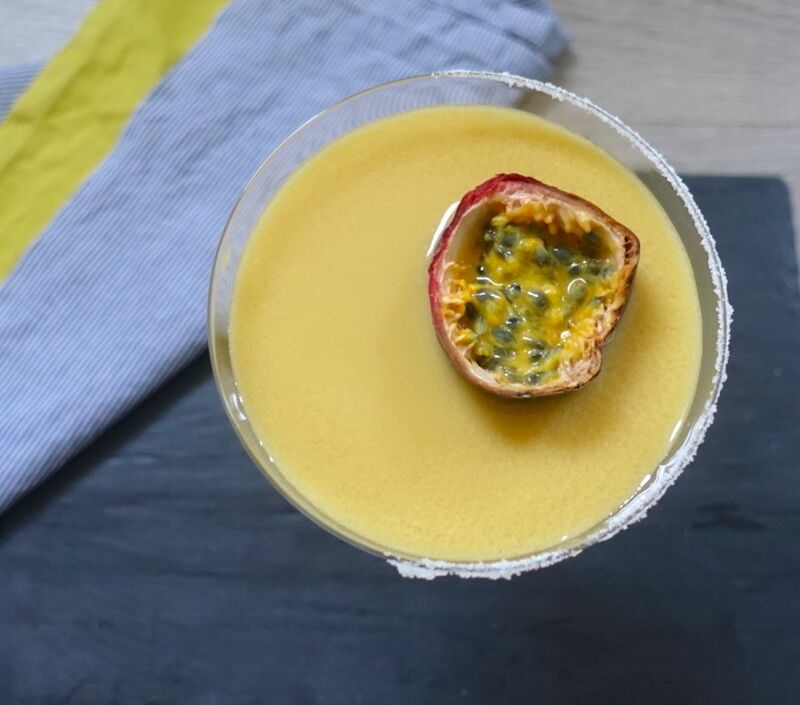 You will need a shaker to make a straight up passion fruit margarita. 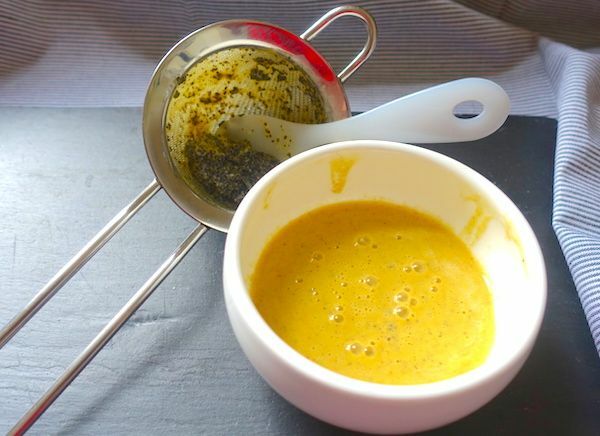 Remove the pulp and juices and blend. Strain the juice in order to get rid of the crushed seeds and reserve. Rub a piece of lime on half of the rim of a margarita glass. 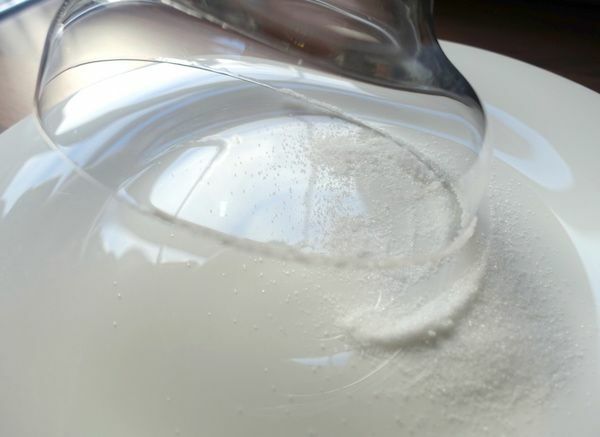 Put salt on a flat plate and carefully rub the rim on the salt. Place the ice cubes in the shaker. 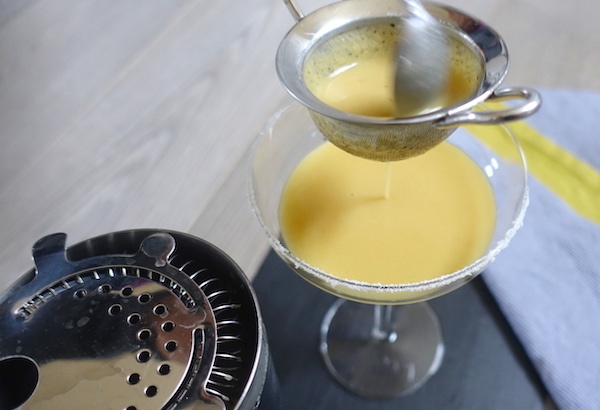 Pour in the Tequila, the orange liqueur, lime juice and passion fruit juice. Shake avidly for one minute. Use the cocktail strainer to pour the cocktail without the ice cubes in a margarita glass. Strain the cocktail if you want to get rid of any crushed seeds left. Decorate with half a passion fruit with pulp floating on the cocktail. Cocktails are great ‘aperitif.’ This passion fruit margarita will wake up the senses and prepare you for a meal.